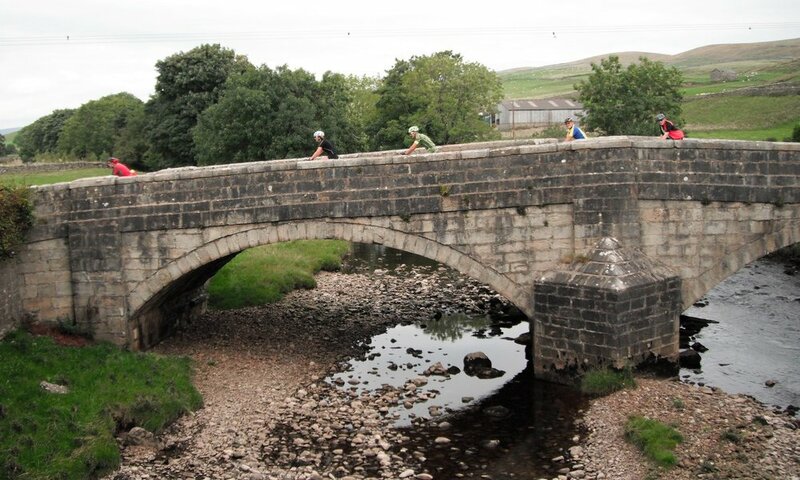 Ride to Ingleton via Clapham, Sunday 2nd September 2018. Ride Report Beaumont to Ingleton via Clapham on 2 September 2018. 9 riders met at Beaumont for Neil’s ride to Ingleton for lunch, with a stop in Clapham for coffee and cakes en route. Rather than split into 2 groups, one of eight and one of one, we set off as one group and made our way through the road works towards Halton. Riding steadily upwards through Halton a good, even pace was set which suited all participants and the group was pretty compact when the Aughton turn off was taken. The long descent was enjoyed as the country views opened up before us, being particularly outstanding on such a clear day. Through Gressingham, Hornby and Wray before joining Mewith Lane, a popular route for our cycling group. The views were wonderful and it was great to see the countryside returned to a super fresh green colour after the extreme ravages of the hot, unrelenting Sunshine turned the landscape brown. Passing Clapham Station the ride continued into Clapham to find Ruth waiting for us at the Bunk House Café. A nice relaxing break was enjoyed by all until departure time arrived. 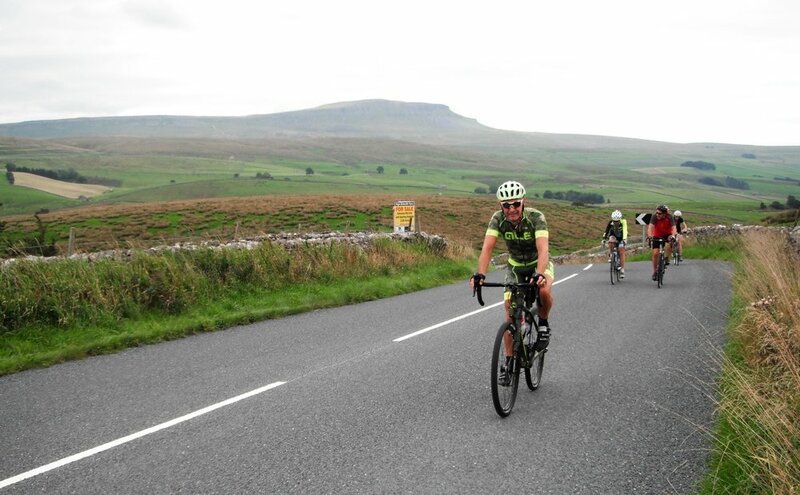 It was surprising and welcome to find that all 9 original participants were continuing the full ride as we set off towards and through Austwick. Now in the Yorkshire Dales National Park, the views were nothing short of spectacular, especially on such a clear day. Turning North at Helwith Bridge towards Horton in Ribblesdale the views became even more spectacular as we passed Pen Y Ghent and cycled towards Whernside in the distance. We paused awhile at Ribblehead Viaduct but were not blessed with the passing of a train, steam or otherwise. With Ingleborough on our left we climbed away from the viaduct and took the right turn to Chapel Le Dale where we joined hundreds of contented sheep on the fell road to Ingleton, although we weren’t impressed with their Sunday Lunch menu! Arriving in Ingleton we made our way to the Inglesport café where we partook of a leisurely lunch. Ravens Close, Wennington, Wray and onto the cycle track was the route home. It had been a very scenic ride through the Yorkshire Dales and continued the theme of ‘back to front ride’, as we have ridden these roads before although Ingleton first and Clapham for lunch on previous occasions, but doing the ride in reverse uncovers scenery not seen before, and it was extremely impressive. A ride of 59 miles and 4150ft of ascent, what a super day to be a cyclist! Thanks to Ian Wood for the photos.